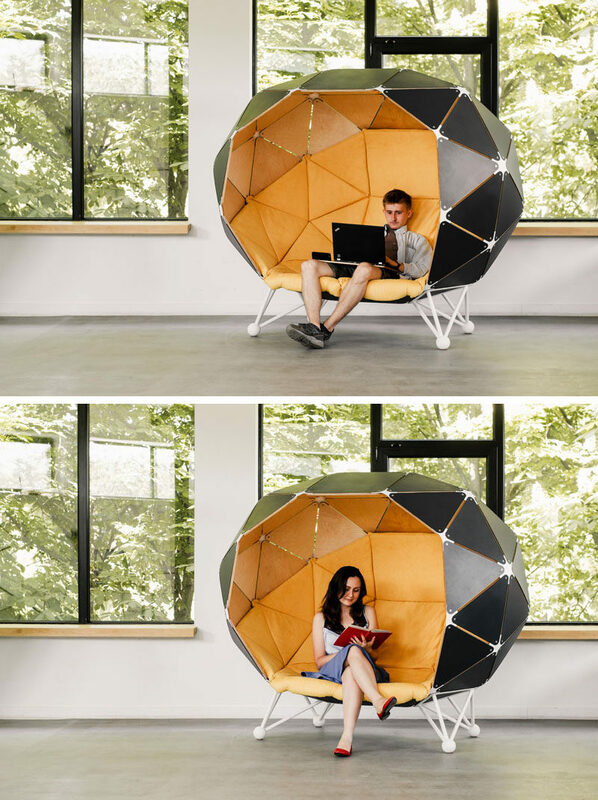 Ukrainian based design studio MZPA [mazepa], have added to their collection of modern office furniture with ‘The Planet for Two’. 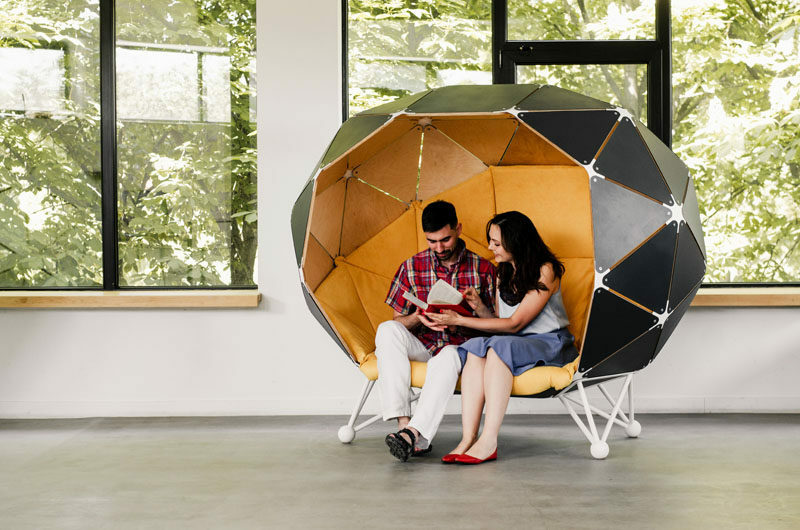 Having previously designed it for a single person, they’ve now enlarged the design, creating enough room for two people to sit, enabling them to have a small meeting in a crowded office, without being behind closed doors. Due to its ergonomic design, it seats one person just as comfortably as two, and has sound absorbing characteristics, allowing music or a video call to be heard without bothering others. 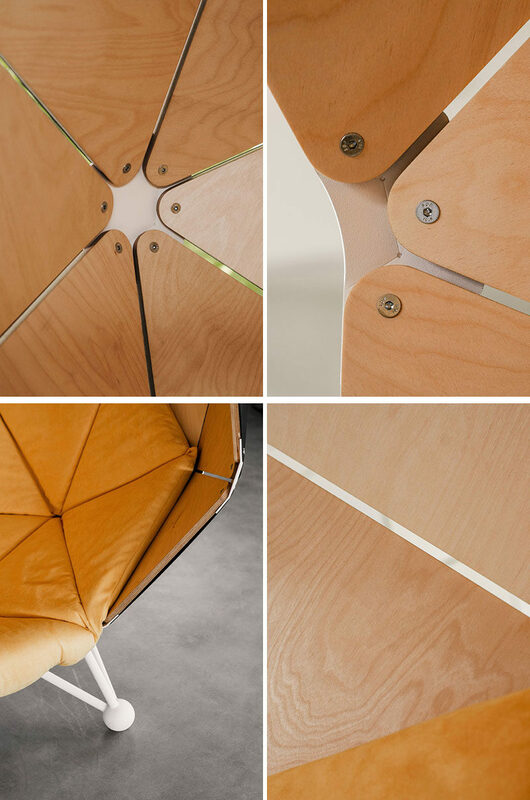 The design of the chair is made up of 4 legs, 37 steel connecting elements, 61 triangular plywood segments, and 61 metal triangular covers. 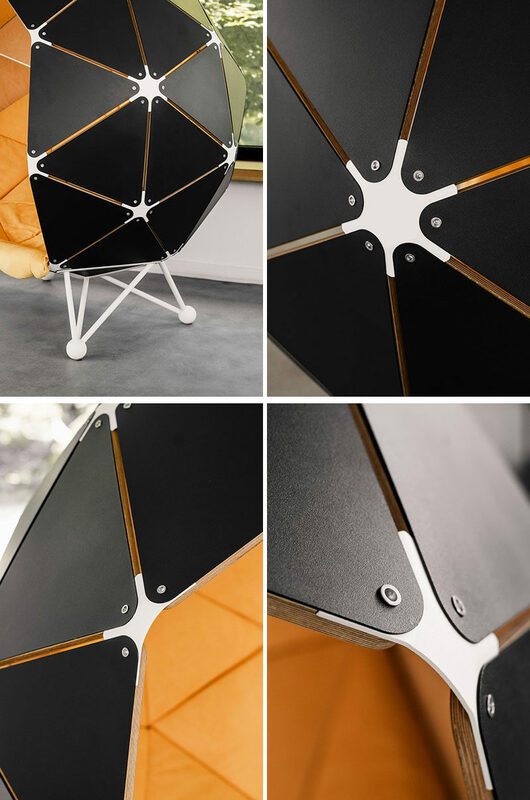 The exterior of The Planet for Two is powder coated black metal, while inside, high-quality plywood has been covered with a protective layer of oil-wax, creating a smooth finish.